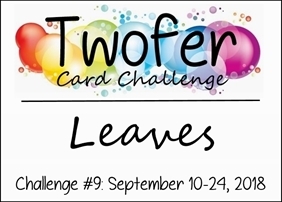 Feel free to interpret the prompt however it inspires you, but remember to use the same leaf or leaves stamp or die on both your cards for two different occasions! 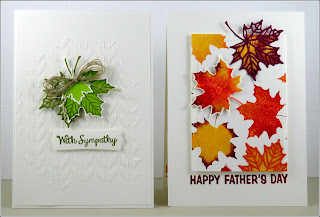 Remember, too, that you are welcome to make two conventional designs using leaves as leaves! 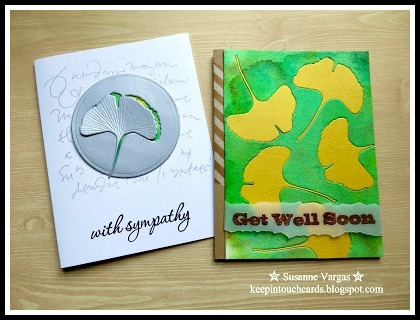 Every month we will have a "conventional" challenge winner from those who use their prompt stamp or die traditionally and, if there are any "unconventional" designs, we will also have an unconventional winner from those who use their prompt stamp or die in a nontraditional way! This month we are delighted to have both a conventional winner and an unconventional winner from our July challenge as our Guest Designers! 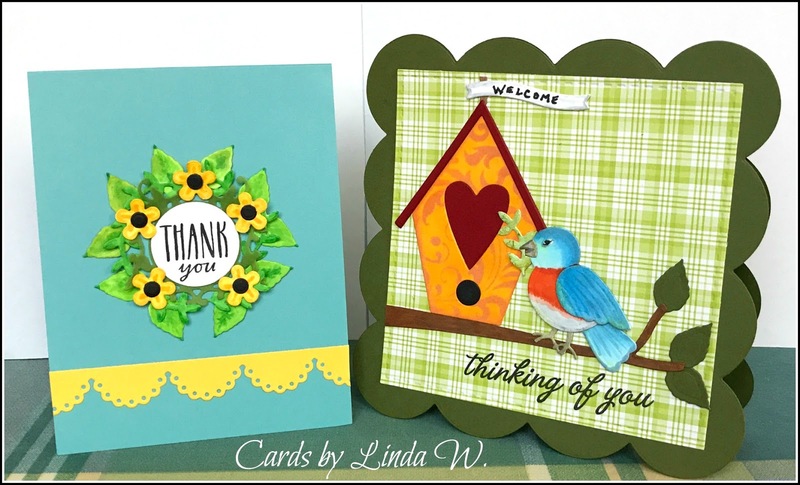 Please welcome our conventional winner Linda W. (Scrappin', Stampin', and Singin') and her beautiful Twofer card designs! The challenge is open until 11:55 PM (PST) September 24th. at 12:05 AM (PST) September 30th. 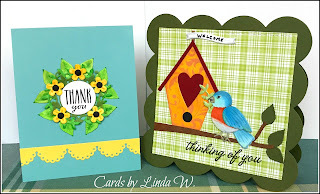 Such varied and wonderful inspiration from the DT, Sue and Linda....Thank you x. 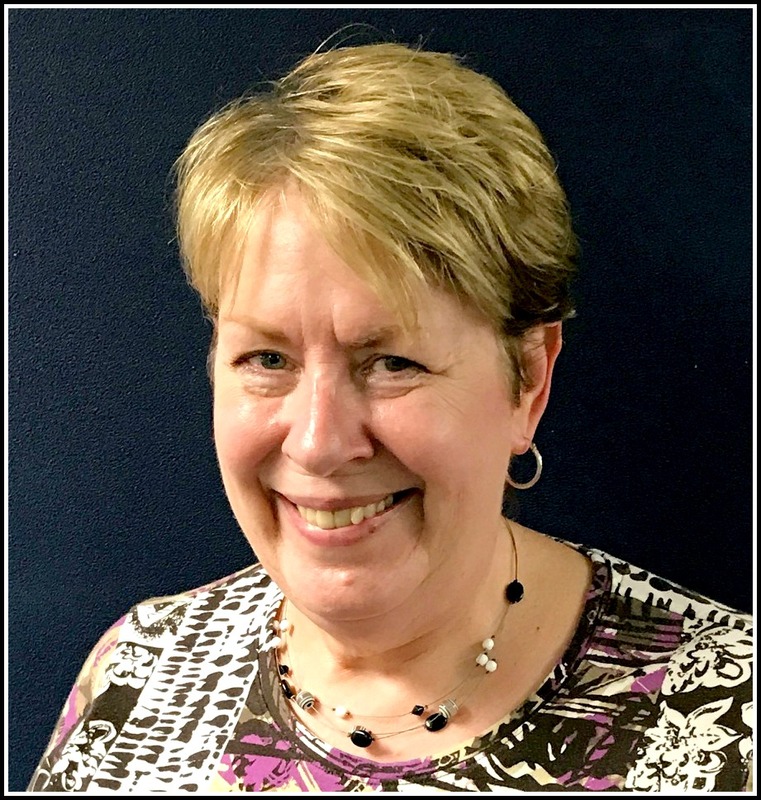 Thanks for having me as a Guest Dedigner this month! 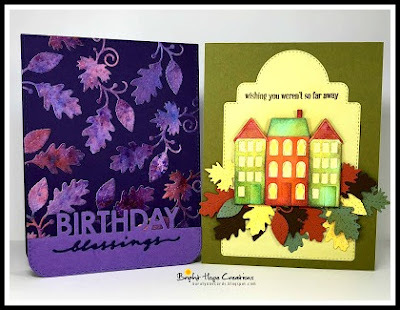 What a fabulous theme & beautiful cards from the team & other Guest, Susan!! Can't wait to see what everyone else creates! 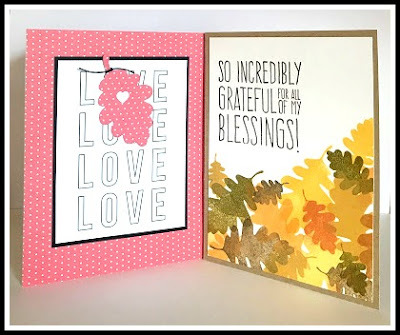 Ladies, another awesome TWOFER challenge, the cards from the Designer Team are, as always, simply amazing and inspiring. Ok, lets see what I can come up with. 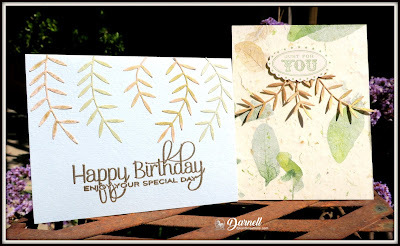 A beautiful theme for this month and such a gorgeous inspiration from the DT and guest designers ! Thanks for the great challenge! Wonderful prompt! Looking forward to playing along. Fabulous cards by the DT. Yes, yes, I KNOW Sue has used the same stamp! That's because it's such a blooming lovely stamp. I had it out on the table, all ready to use, when I saw Sue's post, and thought about changing it, but it's so perfect for what I wanted to do that I decided to stick to the plan. What a perfect inspiration for the season! Love playing along on the two-fer challenge. Hugs all! Thanks for another fun Twofer challenge and for all of these wonderful ways to inspire us with your leafy creations! Beautiful as always everyone! well I at last did manage to make something this month so I could join in. 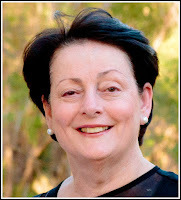 Sorry I thought I had followed this challenge blog, but apparently not so all rectified now. The DT creations are so inspiring and such wonderful and varied designs. Congrats to Linda and Sue on their wonderful designs too. 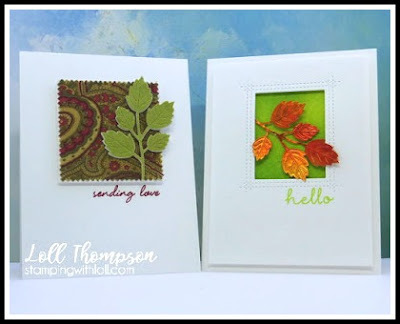 Gorgeous inspirations from the DT and also in the challenge gallery! Thanks for having me as one of your Guest Designers this month Darnell and the Design Team. Thanks also for the lovely comments on my blog, I really enjoyed the challenge. 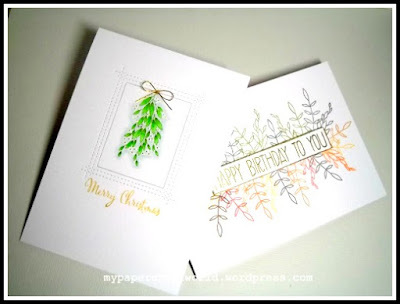 Twofer Card Challenge #9 Winners!